Standard Pump Inc. designs and manufactures Drum pumps, air-operated double diaphragm pumps (AODD), and Metering Systems for applications in the chemical, industrial, food, beverage, biotech, pharmaceutical, and automotive industries. Standard pump is committed to providing customers with the highest quality, safest, and most innovative products on the market. Every product from Standard pump conforms to the rules and regulations set up by safety agencies such as Underwriters Laboratories (UL), CSA, Demko, 3A, and the FDA. When dealing with harsh fluids, Standard pumps can meet compatibility needs with a wide range of materials ensuring quality solutions when pumping corrosive chemicals, diesel exhaust fluid (DEF), cosmetic lotions, or food products. 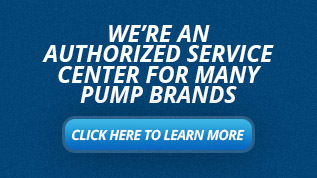 Located on two continents, Standard pump has distributors in fifty-two countries. Anderson Process is your Midwest source for Standard Pump Products and integrated process solutions. 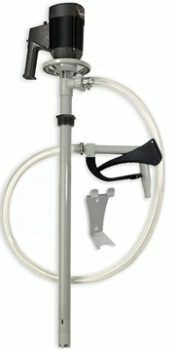 Standard Pump Industrial Drum Pumps are engineered to transfer corrosive chemicals, flammable liquids, viscous products and non-corrosive media from 55 gallon drums and intermediate bulk containers. They are used in water treatment chemicals, acids and alkalis, explosive liquids, oils and lubricants, and high viscous fluids. The complete package with compatible components concept offers an out of the box solution to meet your application needs. Standard pump offers sanitary drum pumps that comply with many regulatory bodies such as the FDA, 3A, Underwriters Laboratories (UL), CSA, Demko, and ATEX. Both centrifugal and progressive cavity drum pumps are available with electric or air motors. 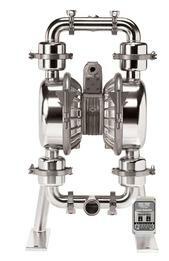 These pumps are best used in food and beverage, pharmaceutical, cosmetics, and personal care products industries. Standard Pump offers meters and batch control systems for both industrial and sanitary applications. They are available with turbine and oval gear flow meters with either are or electric motors. The Meter and pump system is cost effective, simple metering solution. The UltraMag and UltraMass sanitary meters offer even higher accuracy reading at +/- 0.2 and 0.3% respectively. The industrial metering systems come in low or high viscosity capabilities. Standard Pump Air Operated Diaphragm pumps are compliant with many regulatory bodies such as the FDA, 3A, Underwriters Laboratories (UL), CSA, Demko, and ATEX. They have a CIP design and have PRFE and Santoprene elastomer options. They can be used in food and beverage, dairy, beer, cosmetics, and dough applications. They feature a 316 SS and tri-clamp design.